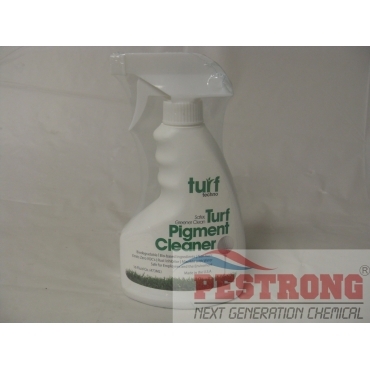 Where to Buy Turf Pigment Cleaner, Turf Pigment Cleaner - 16 Oz - Gallon - $19.95 for Sale with Fast Free Shipping! Turf Pigment Cleaner - 16 Oz - Gallon easily and safely removes turf pigment residue including yellow herbicide iron stains from sprayers and other turf maintenance equipment. It also cleans grease, grass, grime and other golf course maintenance jobs. Very useful! Works extremely well! And the price is fantastic! Highly recommend!